Love the half-moon mani! Great blog! You look amazing and I love your nails, so chic. omg and i love your ring too! :) your nails are amazing girl! oh my goodness....you have me all sorts of excited for the holidays with this look!! I love the rich green color on you...and the lace...perfection. Thank you Dear ! :* Come follow me :) I'm following you ! Your blog is fantastic ! Love the look, its perfect! And the nails are amazing! your lace dress is one of my favorite colors. i like how you paired it with the gold & red polish. vale, will you let us see your crafty bib necklace, when you finish it? Oh my goodness, Italy sounds perfect! We should trade places for a bit ;) And thank you for the link you left on my post regarding your contest! Will be sure to follow your blog! I must have that scarf! You look amazing!!! great outfit, love the half moon manicure! You look divine! i love the necklace it looks so great with the dress. Gives it a little pop of color. Great pictures. Your half moon mani looks very pretty and love your outfit! That dress is so beautiful and feminine. I absolutely love the colour! your outfit is outstanding! well put together. love your blog title btw! Your lace dress is beautiful. And the manicure is darling. Ma tu sei Italiana! :D Piacere di conoscerti! :)Io sono da Malta, allora siamo vicini! :) Hai un bellissimo blog e amo il tuo stile! Grazzie mille per il tuo commento. Ci vediamo! I liked all the items you added! Of course SMILE is the most important! Nice look, love the accessories, beautiful ring. The Mani is so cool!!! Sei deliziosa, la collana mi piace molto e anche il vestito! Your nails look so good! I'm going to try it out when I have the time to do my nails. And I love that bag of yours! Grazie di avere entrato sul mio blog e grazie del commento! Ti sto seguendo qui! vuoi seguirmi anche tu? Grazie, e complimenti! 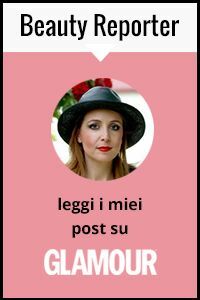 bel blog e bei vestiti! Lovely color of the dress! per una passeggiata tra i vigneti con questo outfit e' bellissima!!! e poi questo manicure e' stupenda! ma hai fatto tu da sola???? dai devi insegnarmi come si fa!!! Great Colour dress and I like it how you match it with grey!!! Your BAGS are heaven, always!! !You nust have a very BIG colection!!! I did noticed the half moon manicure! I like them but i like all your style as well. ma ke carino il tuo vestito *_* a me piace tanto il pizzo! GREAT fall colours, especially the dress, gorgeous! Love the nail-do, Péridot is just the best nailpolish ever! The dress and half moon manicure are PERFECT!!! your coat and booties are fabulous!!! Thank you! Great dress! Yes, I would love to follow each other, so I'm now your follower! come and see my post about what I bought in H&M for the Versace collection...you will love it! Hello as well from Italy! Grazie per il commento sul mio blog, ti ho aggiunta e ora sono una tua follower, se ti va aggiungimi così possiamo seguirci a vicenda, che ne pensi? Beautiful dress. Love the color and how you styled it. You loom great and i'm in love with your pretty ring with green stone! You're followed, beautiful! We love your blog! I love the black trench, I have one similar to it and it is one of my go to pieces every winter. I also love your dress and the cardigan. Great style. I like your outfit colors here.. and I swoon for the half moon manicure. Absolutely LOVE the colors combination!! Abbiamo avuto la stessa idea in fatto di smalto, solo che io le ho fatte verde bosco e oro, che pazienza...!! Cute lace dress!!! Thanks for your lovely comment dear! If you think that let’s follow each other, why don’t follow me by GFC? Then, I’ll follow you!!! sto cercando anche io un abitino in pizzo!!! molto carina la mise! you look so good! love your necklace and and nails- awesome! lovely dress!! !lace is so classy!! Love your style! Thank you for the comment on my blog! I'll follow you! LOVE the pictures! Thanks for stopping by my blog! Gracias por pasar por ni Blog e invitarme al tuyo, es fantastico!! The dress is great and the accessoires you chose make the outfit marvelous. Great outfit! I love your shoes:) Your blog is very interesting. Ciao Vale! !Grazie mille per il tuo commento al mio Blog e WOW il tuo Blog è davvero fantastico, hai uno stile invidiabile! Chissà se leggerai mai questo commento c'e ne sono 120 prima di me ; ) Sono contentissima di seguirti....Un bacio! I love your ring too. Wow! Love your look, the dress, booties...all! And your manicure is amazing!!! So gorgeous!! I love the dress and your nails look amazing. Beautiful outfit, with this precious details!!!! I like a lot how you mix grey and blue!! Bel blog!!! !Grazie per essere passata da me...ovviamente ti seguo!!! !Continua a seguirmi anke tu se ti va!!! Muito obrigada pela visita no meu blog!! !Eu adoreiii seu blog e já estou te seguindo,se quiser pode me-seguir...Seus looks são lindos.kisses e voltem sempre!! Ps: grazie per avermi invitato al giveaway ma non ho twitter..posso partecipare comunque?? I love, love, love, love this look! The color combo is perfect! Honey you're looking absolutely fabulous. And in love with your gorgeous jacket. Every single shoe you posted is absolutely amazing, I can't decide on a favorite!! Love your green lace dress! Hi Vale, i think your dress and your ring are so cute! Love the manicure too, but I prefer the classical 1 colour better.